Cornwall has developed another UK first with the launch of a Master’s degree that focuses on the ecological restoration of industrial land. MSc Land and Ecological Restoration, delivered by The Cornwall College Group (TCCG) and Eden Project Learning from September, is based at the Eden Project and includes a trip to the educational charity’s new venture in China. Director of higher education at TCCG, Dr Mark Nason, said the introduction of the course couldn’t be timelier. “There is so much land across the world that needs to not only be cleaned up, but needs to be put into productive use,” he explained. Employment in this area is only going to grow as we continue to increase quarrying and other industrial developments, according to Dr Nason. “Fortunately, there is a growing consensus that we want to clear up land that is already damaged and what makes this Master’s degree unique, is that is the only one that puts the focus on the ecological element of the restoration,” he continued. 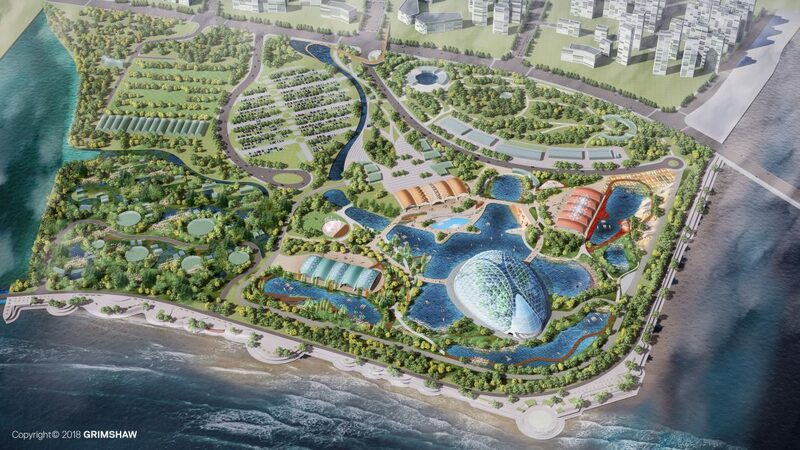 Not only will students have access to facilities at Eden, including Europe’s largest indoor rainforest, they will also have the chance to work on the development of the first overseas Eden Project, Eden Qingdao in China. Head of Eden Project Learning and expert in the field of environmental education Professor Robert Barratt said he believed the course “is in the national interest”. He said: “This Master’s degree is an incredible opportunity for students with the added bonus of them being able to work on a project which is being built on land damaged by industrial-scale prawn farming.